Rare Lost Episode "Sapphire's Sister"
Rare Lost Episode "The Fur Coat"
Starring Alvin Childress (Amos), Spencer Williams (Andy), and Tim Moore ("Kingfish"), "The Amos 'n Andy Show" tv series aired from 1951-1953 on the CBS network. You will receive thirteen (13) super high quality VHS tapes (SP) which include 75 episodes of "The Amos 'n Andy Show." This collection is professionally produced and transferred from original 16MM movie reels using VHS tapes in SP mode. NEW! 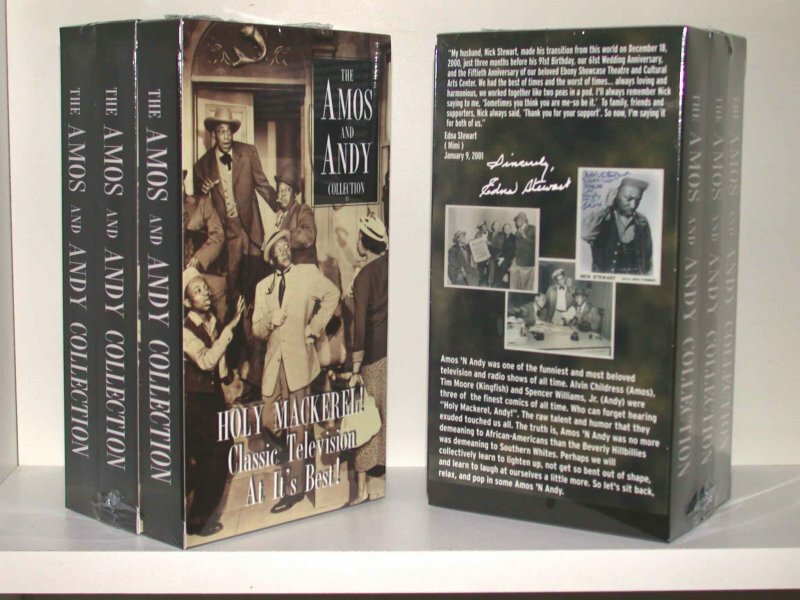 This set also includes the "Amos n Andy Radio History" CD.